One of the best parts of becoming a parent is being able to rediscover everything you enjoyed as a child. A couple weeks ago, we took Jasper on the Ride the Ducks. 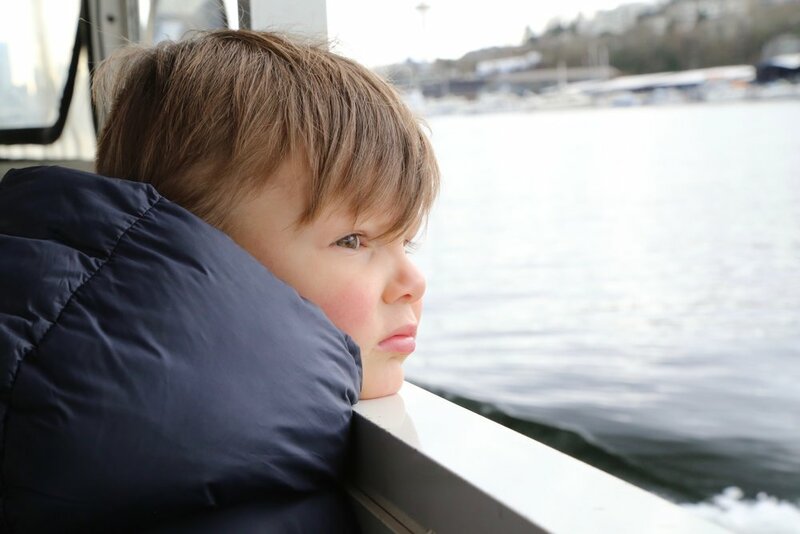 At first he was a little apprehensive about a car that becomes a boat or a boat that drives down the street like a car. 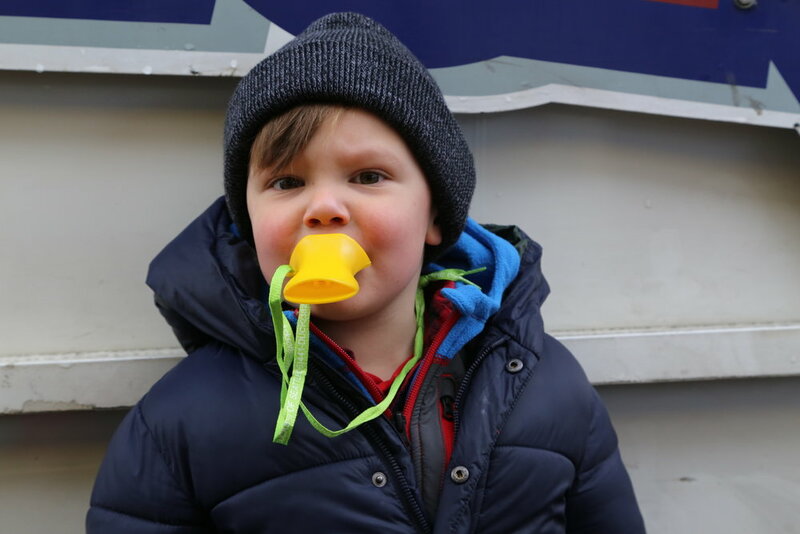 However, once we were settled and he started blowing his quacker he was delighted to be zipping around the city he loves listening to music and pointing out familiar sights. They don't call it them "threenagers" for no reason. I can totally picture this photo taken in ten years. Same pose, same facial expression. We have resigned ourselves to this simple fact: Jasper will always be WAY cooler than us! Since the weather was not great, the duck was pretty empty. Jasper enjoyed warming up his quacker devoid of bothering others since no one was sitting nearby us. 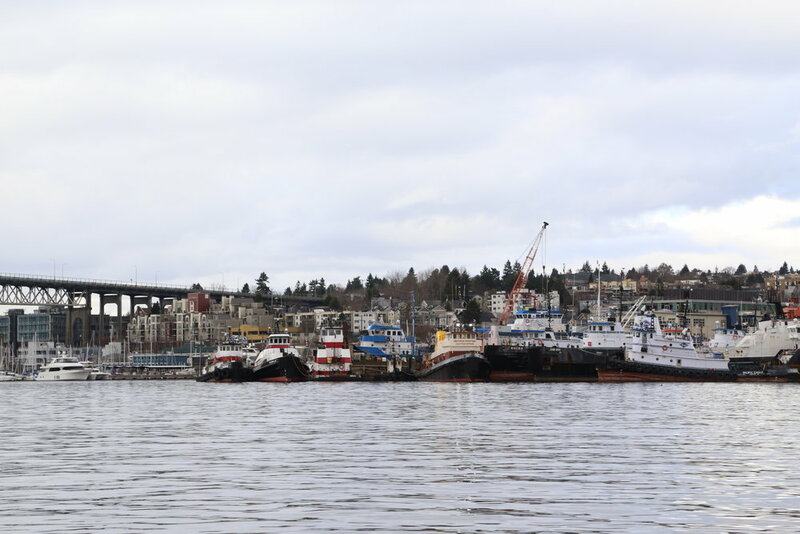 Once on the water we cruised past houseboats, seaplanes and plenty of tugboats. Jasper made it a point to quack at every bird that was in twenty feet of our boat. The smallest houseboat on the water. Something like 250 square feet big! It is always a thrill to get out in the water in Seattle no matter the weather or time of year!